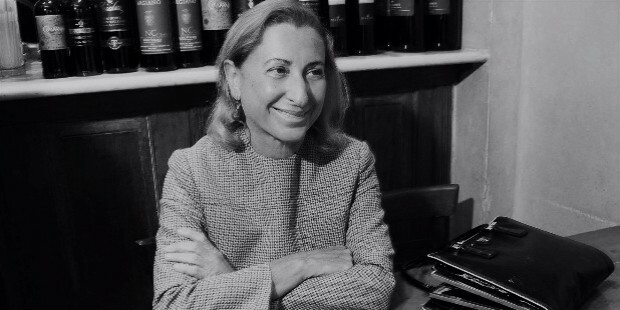 As the Prada brand rose ever higher and higher, so too did Miuccia Prada’s profile in the industry. The perennial trend of the “seasonal It Bag” began with Prada’s creation of a backpack made out of nylon and featuring the label’s distinctive upside-down silver triangle emblem bearing the brand’s name. The nylon backpacks of Prada became a runaway bestseller upon its release and other design houses followed suit in the hopes of manufacturing the next big It Bag that consumers would clamor over. Furthermore, the brand cemented its status as a covetable luxury label when actress Uma Thurman appeared on the red carpet of the 67th Academy Awards wearing a lavender Prada dress. This was the moment where Prada was now considered as a refreshing go-to red carpet staple for Hollywood stars that could compete with other big-name fashion brands. 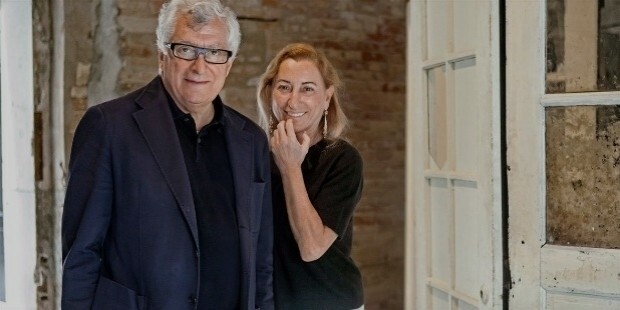 Prada and Bertelli have been married since 1987 and the couple have two sons. 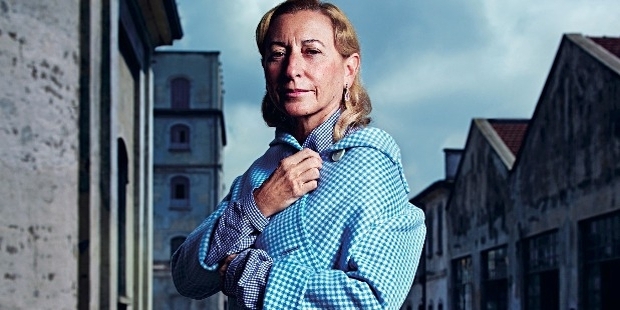 Prada is a lifelong patron of the arts and, together with her husband, has established the Fondazione Prada in Milan: a cultural institution dedicated to supporting and showcasing the works of emerging and established contemporary artists around the world. 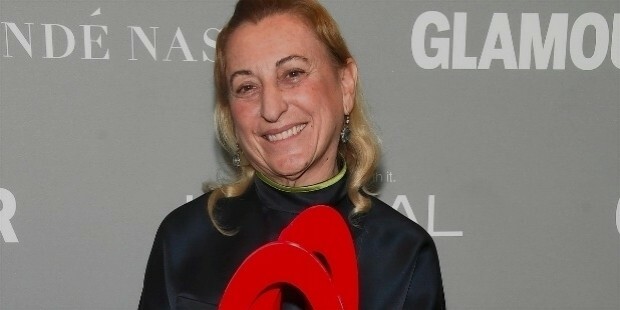 Her association and patronage of the art world has also produced collaborations from prominent artists and architects, resulting in projects such as the Prada Marfa in Texas, USA and the Prada Transformer in Seoul, South Korea. 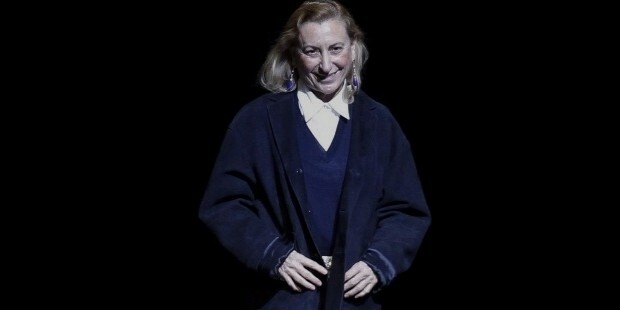 Mrs. Prada rarely gives interviews to the press, and often ends her runway shows by taking a quick bow or wave to her rapturous audience before quickly darting off backstage to avoid the cameras aimed at her direction. 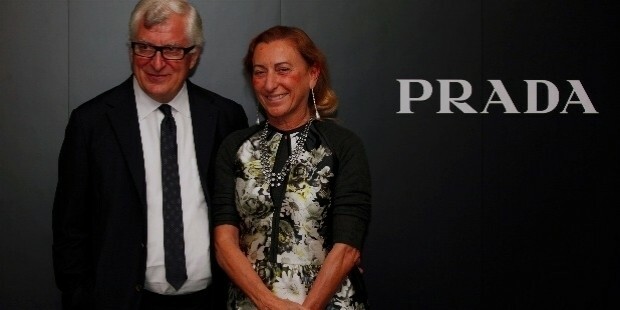 Prada’s accolades have gone beyond the approval of the fashion press and loyal customers of her brand. She was awarded by the Council of Fashion Designers of America (CFDA) as their International Designer of the Year in 1993 and 2004. She is also one of the few living designers to have had a major fashion exhibition presented by the Metropolitan Museum of Art in New York City when the Costume Institute staged the show entitled Schiaparelli and Prada: Impossible Conversations from May to August 2012. TIME Magazine has included her as one of the 100 most influential figures of the 20th century in 2005. 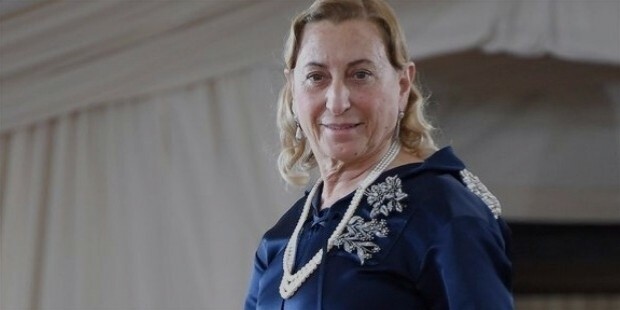 And with an estimated net worth of $11.1 billion, Prada is listed by Forbes Magazine as one of the most powerful and influential women in the world.